Good Morning, Today I will post how to make avial recipe. Avial is a Kerala dish. I don't know how it is introduced in my family circles, but it is a regular dish among my family circles. Almost all of our people make it, some with a little difference. It is said that our ancestors belong to Karnataka and Maharashtra. 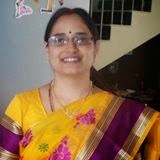 They migrated to Andhra Pradesh, but still we have the hereditary of their food habits. We too make kootu and pindimiriyam etc. It may be the same reason we make this dish also. We all love this dish, it can be served with rice or roti. To serve it with rice we need to make it a little dry and for roti amke it a little bit gravy. Normally we can add all the vegetables like Tindoora, raw banana, ash gourd etc. Today I do not have any of them but I want to make it so adjusted with the available vegetables. I used yam, potatoes, carrots, clusted beans and bottle gourd. But the taste is really good. Avial -- serve it with rice or roti. Cut all the vegetables into cubes or 2" inches length wise. In a blender jar add fresh coconut, green chillies and cumin seeds. Blend them and make a coarse paste, if necessary add one tablespoon curd to it. In a thick bottomed pan add all the vegetables, salt and turmeric powder. Add enough water and cook them till turn soft and smooth. Once all the vegetables cooked completley add curd and coconut paste. Let it cook in low flame and till all the water evaporates. Add a spoonful of coconut oil to it and let it cook for two more minutes in low flame. Switch off the flame and serve. 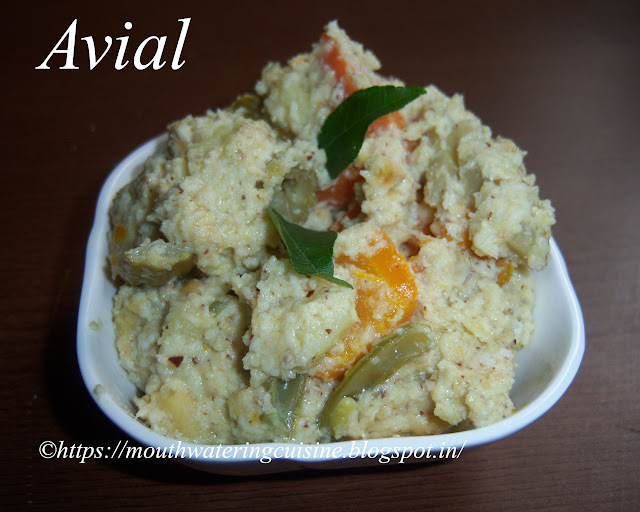 Serve avial recipe with rice or roti.